About the author: Tero Vauraste is President and CEO of Arctia ltd, a Finnish Polar Maritime Services company. 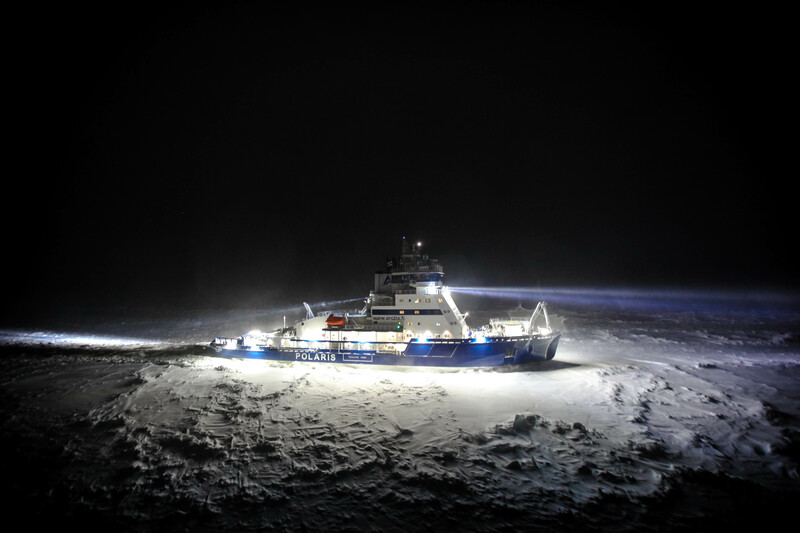 The company provides ice management services, including icebreaking, oil spill response and other polar maritime assistance with a fleet of eight icebreakers and 300 professionals. Tero Vauraste has worked as a vessel master and in several other positions at the Finnish Coast Guard. Recently, he has been elected the Chair of the Arctic Economic Council for the term 2017—2019. The recently established Arctic Economic Council (AEC) is an independent organization that facilitates responsible economic and business development in the Arctic and by its communities. Facilitating knowledge and data exchange between industry and academia is thus one of the five overarching themes of the AEC. One of the key focus areas is maritime transportation. Safe Arctic shipping, which includes safety for the pristine polar environment, requires that the shippers are able to foresee their forthcoming operational conditions well in advance. To fulfill this need, especially during the era of climate change, measures must be taken to improve the data exchange between industry and academia. Therefore, I am grateful that the research community brought together under the umbrella of the Year of Polar Prediction (YOPP) seeks to provide opportunities for exchange and collaboration between researchers and polar forecast users. I am happy to provide my perspective on what is needed at the end of the polar forecast value chain. What are the prediction requirements of Arctic shippers? What types of need exist? What kinds of tools should be developed? After a mild winter in 2009, I requested to the Finnish Meteorological Institute (FMI): “What kind of weather and ice coverage are we going to face next winter? Will it be cold with lots of ice or warm with a lot of open water?” There was no answer. The winter turned out to be harsh and difficult for sea transportation and icebreaking operations. Some vessels had to wait for assistance for several days. As a consequence FMI started to have a look into this challenging question in a scientific manner. The first draft of a seasonal forecast for the following winter was delivered only one year later, in autumn 2010. Simultaneously, we were analyzing the need for our fleet renewal from a long-term perspective. There were even some assumptions in the general discussions that icebreaker capacity could be reduced due to global warming and the expectations of increasing temperatures. At the same time, these developments are believed to open up new operational opportunities and thereby to generate increasing demands. The average age of vessels in the Arctia’s icebreaker fleet is approximately thirty years. The lifespan of an icebreaker can be as long as thirty to fifty years. This means that we have to foresee the climatic and business developments in our operational areas, namely the Baltic Sea, the Arctic, and the Antarctic even until 2060 as one of the main variables of our fleet renewal plan. We have further deepened our cooperation with FMI, and their experts conducted a comprehensive research on the expected climate developments on different areas of the Baltic Sea in the coming decades until 2050. The research was based on different scenarios of CO2 emission reductions, where the expected average temperature increase is varying from two to six degrees Celsius during the next one hundred years. The research ended up on the “consensus” conclusion that the Baltic ice coverage and thickness would be reduced approximately by 20-30% by 2050. However, the development of the climate and ice thickness and coverage is only one factor when it comes to analyzing the future ice operation needs. The traffic network and system, the amount and use of ports, and traffic politics are also important variables. In the context of the environmental conditions, the winds and currents are also significant factors because of their effect on the movements of sea ice. In the Gulf of Bothnia, the ice pack can be as thick as fifteen meters. Turning back to shorter timescales, in my view there has been good progress in the seasonal forecasting provided by FMI to Arctia. For five seasons, we have tested forecasting for the entire icebreaking season from November to May. The forecasts, issued on a monthly basis, give insights for the remaining time of the icebreaking period. The forecasts are used in our resource management and operative planning. At even shorter timescales, a weekly forecasting system has been in place already for a couple of years: We receive specialized forecasts for the next four weeks for each operational area. For this purpose, a dedicated software system is used by the icebreaker management and the officers of the vessels. In addition to temperature and wind, forecasts of the movement, compression, thickness, and ice extent are provided. Finally, going down into the weather and ice situation “online”, we use a management system where we have combined the operational plans and reports, traffic situation and weather and ice information. This system is known as the “Icebreaker Net” or IBNet, which is developed further with funding support by the European Union. It provides satellite and radar pictures of the ice fields as well as information on the ice movements, temperatures, sea water level, and more. What can we learn and how can we benefit from these developments in a wider context, namely in the Arctic? After all, the Arctia’s vessels also operate in the Beaufort and Chukchi Seas in Alaska, and we navigate the Northern Sea Route and possibly the Northwest Passage as well. A remarkable situation linked with the ongoing climate change occurred in 2012, the year where the Arctic sea-ice cover shrank to record-low levels. Due to an Arctic storm a huge amount of ice was released from the Arctic fast ice and floated to the area of our operation in the Chukchi Sea. The forecasting systems played a significant role in the decision-making, and the operation was interrupted. Another case nicely exemplifies that the gradual warming of the Arctic does not mean that the region no longer would be an extremely harsh environment: The winters 2013-2014 and 2014-2015 were very cold in the Great Lakes areas, and it has been estimated that losses close to 1 Billion Canadian Dollars have been suffered by industries due to vessels being beset in ice. Expectations on increased maritime activity in Arctic waters have been high. However, the increase has remained modest, and in some areas shipping activities actually decreased during the past few years, for example regarding the international use of the Northern Sea Route and shipping tourism in certain areas. Nevertheless, a modestly growing trend is still – but yet – to be expected throughout the forthcoming years and decades. 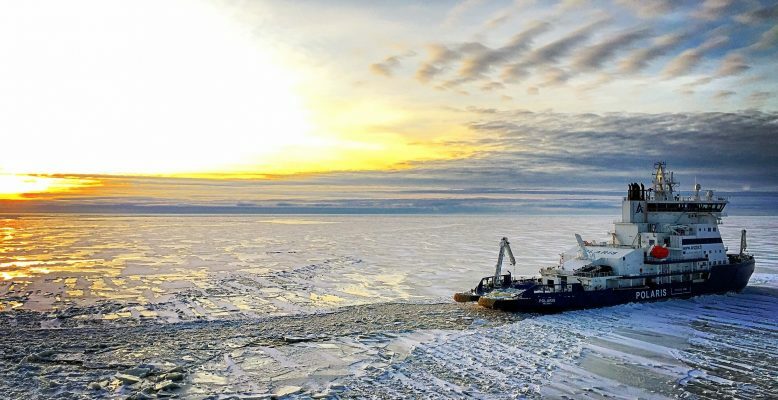 The expected increase in maritime activity and the need for safe Arctic shipping calls for more and more accurate and developed weather and ice forecasting services. In this context, huge geographical variations in the Arctic must be taken into account. For instance, the average reduction of ice thickness and coverage in the Northwest Passage has been less than half compared to the pan-Arctic average reduction. Both the Baltic Sea and the Arctic Ocean are home to diverse and vulnerable maritime vegetation and wildlife. Safe and secure operations are thus needed, and predictive risk management is essential. On the other hand, the business sector needs to work and respond dynamically to rapidly-occurring sector changes. To this end, the research community and the business sector should foster their interaction and communication. icebergs and berg bits and their movement. spraying (leading to structural ice formation). Finally, “online” (or “now-cast”) information is a central element of everyday operational decision making. Reliable weather and ice reporting services are of utmost importance for Arctic shipping operations. Their role in our long-term, mid-term, and daily planning is essential. The enhancement of polar environmental forecast capabilities and services is an interactive journey. Only working closely together will we be able to fulfill the goal by the Arctic Council and the International Maritime Organization (IMO) of safe Arctic shipping.